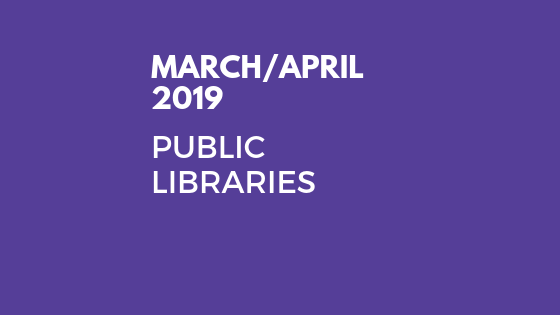 Originally appeared in the March/April 2019 issue of Public Libraries magazine. Gloria Steinem once said, “Every social justice movement that I know of has come out of people sitting in small groups, telling their life stories, and discovering that other people have shared similar experiences.” Muslims in Story helps children to do just that. According to the book’s authors, “Books are bridges, an opportunity to use our fundamental human traits of curiosity and empathy”(x). A solid foundation for social justice, for certain. Gauri Manglik and Sadaf Siddique got together and responded to these questions to help us better understand what their book is all about. PL: Many librarians will jump right over this book because they don’t have any Muslim children in their communities. Does that miss the point of the book? GM and SS: Yes, unfortunately, they would. Our book is a follow-up from the “Counter Islamophobia Through Stories” campaign that we had launched at KitaabWorld in January 2017. The main idea behind the campaign and the book is to use literature to reduce ignorance and counter stereotypes about Muslims in America so we can build bridges of multicultural understanding, tolerance, and respect for everyone. PL: Your book is billed as being for children and young adults but given the concepts and ideas you suggest considering in the “Discussion Starters” and “Ideas for Future Engagement” sections, don’t you think it would be appropriate for adults as well? GM and SS: Yes, it certainly is. 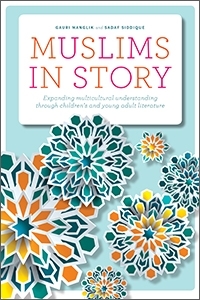 Our book is meant primarily for parents, educators, and librarians as a primer to learn about Muslim children’s and young-adult literature. It also includes a chapter on the history of Muslims in America, examines present day Islamophobia and its causes, and includes an interview with an expert on Islamic law to address misconceptions about them. We included the “Discussion Starters” and “Ideas for Further Engagement” sections to expand ways in which librarians and educators could have more nuanced discussions in their communities. The book serves as an ideal starting point for any adult to explore these complex issues through children’s and YA books and then take a deeper diver through other recommended books. PL: You’ve been published in a journal called Teaching Tolerance. How can we teach that, not just in regard to religion, but also to help us accept diversity in everything from politics to sexual identification? GM and SS: We need to keep reiterating that respect and tolerance are basic dignities that we need to accord all people. It’s tough to fight biases, but it’s definitely something that is worth repeating over and over again. We live in a global, connected world and diversity is the norm. It’s important for all of us to learn to live and appreciate people of all stripes. In our book in particular, we have tried to showcase the diversity of the Muslim experience — they are not a monolith. Each Muslim community from around the world has evolved with their own customs and culture which lends itself to their Muslim identity. This applies to other religious and political communities, too — the more open and tolerant we can nurture our children to be, the fewer instances of conflict and tension will arise from ignorance. PL: What does your literary organization, KitaabWorld, hope to accomplish? GM and SS: We founded KitaabWorld in 2016 to create a space for diverse stories, especially South Asian stories, to be seen and be easily accessible in the mainstream. We focus on outreach to teachers, librarians, and other community organizations to diversify their book collections which results in creating safe and inclusive environments for all children. On our online independent bookstore, we curate multicultural diverse literature in one place to make it easier for librarians and educators to access and discover lesser-known titles. We also work towards creating context for these books through our recommended reading lists and point them to lesson plans for these books. We work with librarians to recommend titles that create a capsule of books that help reflect the missing gaps in their collections. We also conduct diverse storytimes, organize community events and conduct talks, workshops, and webinars to further spread these ideas. PL: What is your favorite story in this book–and why do you like it so much? GM: This is a really hard question given we have over two hundred books mentioned in our book. 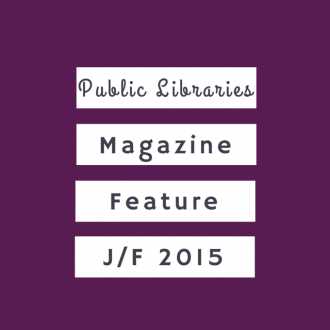 They range from board books to young adult, and cover fiction and nonfiction. Two books rank high on my favorites. The first is a picture book called The Clever Boy and the Terrible Dangerous Animal, which is an old Sufi story about a young boy who uses his knowledge to put the fears of others to rest, and the second is a middle-grade novel, A Long Pitch Home, which brilliantly formulates a young immigrant boy’s perspective in a humorous and relatable way. SS: As Gauri said there are too many to choose from, so here’s a sampling. In picture books my favorites include Four Feet, Two Sandals for the dignity it accords refugees and the folktale The Hungry Coat, which encourages you to look beyond external appearances. For chapter books, The Vine Basket provides a look into the lives of Uighur Muslims and the young-adult novel, A Girl Like That, does the same for the lives of Saudi teens. PL: in this text, you offer more than just book reviews. You suggest related titles, videos, recorded speeches, and more. In fact, this book could be considered a curriculum on diversity. How do you see this book and all this information being most effectively used? 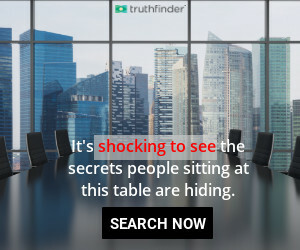 GM and SS: We really appreciate you pointing that out! For teachers, we envision these books dovetailing with and being included in curricula, since that is the only way for use to move towards systemic changes. We would love for a teacher who is working on nonprofit biographies to include Mohammed Yunus to examine economic issues around cyclical poverty; introduce the book on Ibn Al-Haytham in their STEM curriculum; discuss folk stories like The Wise Fool and Little Black Fish as ways to use humor and allegory to challenge authority or use The Long Pitch Home to talk about immigrant struggles and assimilation. We also believe the book pairings and multimedia ideas lend themselves to other educators as well. Libraries could include them in storytimes, start books clubs, and engage readers of all ages with the vast landscape of literature that exists beyond the mainstream. Parents can use these ideas to spark change within their own homes and communities by convening a reading circle with a few children and choosing one or two books to explore. We truly believe in the power of one person to lead and bring about changes and empowering children with an array of perspectives and a critical way of thinking so that they can make a judgment based on their own learned knowledge to counter the rhetoric when they are faced with misinformation. PL: Isn’t this book really about more than just understanding Muslims? Following your entry for Muhammad by Demi, for example, you suggest that readers “look up the prophets common to Christianity, Judaism, and Islam” (141). GM and SS: One of the goals of our book has been to facilitate an understanding of Muslims by normalizing their experiences and providing helpful reference points for others to relate to. In this specific example that you reference, our intent was to emphasize interfaith awareness. Interfaith awareness helps all of us understand the common moral core of serving humanity that all world religions share. It fosters a culture of collaboration and ways in which people of different background, beliefs, and points of view can work together. PL: What do you most hope readers learn from this book? GM and SS: This book really was our way to help everyone — teacher, librarians, parents — to not feel helpless in the face of hatred and bigotry. This book is a resource, a toolkit if you will, to help take action in our communities. The real power lies in your stories. By reading and sharing them, you can change hearts and minds. Maria Shriver, “Gloria Steinem,” Interview, July 11, 2011, accessed March 6, 2091, www.interviewmagazine.com/culture/gloria-steinemhttp://www.interviewmagazine.com/culture/gloria-steinem.